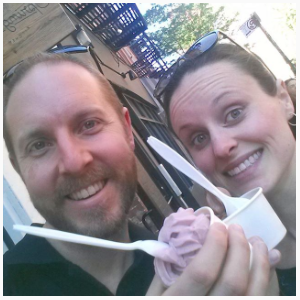 Last June, the hubby and I spent an extra long weekend in New York City! It was my 30th Birthday (and his 36th) and I was 6 months pregnant, so not exactly up for a raging party – haha! So as a combo birthday trip and baby-moon, we hopped on down to New York City for what was to be a wonderful vacation! Some people are able to make modifications to their way of eating while on vacation, and while we can do that slightly, we more or less stick to what we know works best for us. That way we can feel our best and enjoy our trip to the fullest! Usually we rent an AirBnB, VRBO or make sure to get a hotel with a kitchenette, and find a grocery store (ideally a Whole Foods) as soon as we get to town. And while we still did this, we modified it slightly because it’s NYC! A HUGE city with enough people to have restaurants to cater to every diet! So I did some research on restaurants that we could enjoy and picked an apartment located smack in the middle of all my amazing finds. Hu Kitchen was my favourite place ever. It was pricey, but that’s what you get for high quality ingredients. As someone who is VERY sensitive to vegetable oils, being able to go out for a few different meals, and not worry about the subsequent inflammation (joint pain, ugh) was amazing. We enjoyed roast chicken, paleo meatloaf, lots of veggie sides (with cashew cheese! 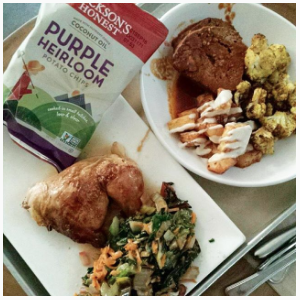 ), Jackson’s Honest Potato Chips (purple heirloom potatoes cooked in coconut oil), fair-trade organic coffee with coconut milk and maple syrup (there were so many milk/sweetener options) and some yummy paleo desserts. 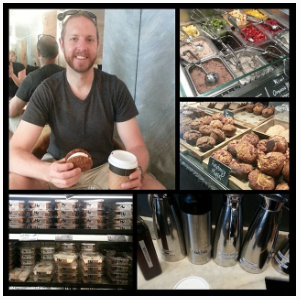 The hubs had a carrot cake whoopee pie for breakfast on his birthday, and I enjoyed a paleo blueberry muffin! Another real-food restaurant that serves Bone Broth and lots of gluten-free options. But we went for the 3-ingredient ice-cream. Chocolate Avocado & Raspberry Banana. All dairy free and no junk. 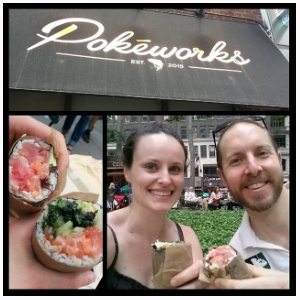 Poke works was a little takeout burrito joint, that basically resulted in giant, customizable hand rolls. Wild sustainable sushi-grade salmon, avocado, veggies, sea greens and rice wrapped in a large sheet of nori. We each grabbed a burrito and enjoyed them in Bryant Park before walking over to Times Square to see The Book of Mormon, which was hilarious (and incredibly offside). The best pizza I have had in my life. 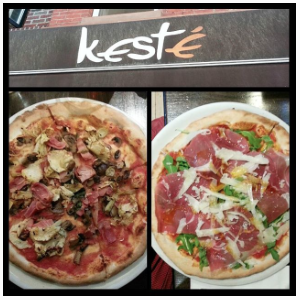 Over 50 pizza options on the menu, 10 of which were gluten-free! Although a very strict no changes/substitutions rule, you are able to omit an ingredient. We had gluten-free pizzas that had mozzarella and sheep cheese, and omitted the mozzarella, because we don’t tolerate cow-dairy. They also had several gluten-free beer options! This tiny, authentically Italian (direct from Napoli!) pizzeria in Greenwich Village is one of the top 5 restaurants I’ve ever been to in my life. And I’m lucky enough to have been to some really nice ones, because my parents, specifically my Dad, plan all their trips around the top restaurants in that city. Guess the apple doesn’t fall far from the tree eh? We went here for my birthday dinner and we literally didn’t speak the entire time except to say “oh my goodness” and “holy $h!t” over and over. 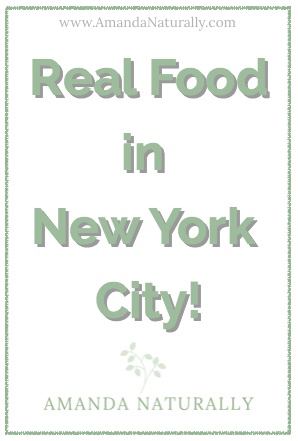 We’ve since sent many people there, both gluten-free foodies like us, and eat-everything-foodies, and everyone has had an amazing experience. 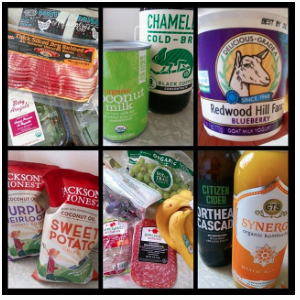 Whole Foods Haul: bacon, eggs, greens, coffee, coconut milk, goat yogurt, clean snacks (potato chips, fruit, applegate meat), cider and kombucha. We rented an apartment right by NYU/Union Square, so we were a 10-15 minute walk from Hu Kitchen, Whole Foods, Springbone and Keste (priorities, amiright??). The first thing we did was stock up on groceries from Whole Foods and Trader Joe’s on 14th. Making breakfast is always how we do things, because it’s hard to find quality breakfast restaurants. Not to mention, when you just get bacon & eggs, it seems expensive for something you cane easily make at home! And to be honest, I love waking up and having coffee and breakfast in my pjs! Especially at 6 months pregnant when I was moving a little slower in the mornings. We stocked up on bacon, eggs, mango kombucha (a major pregnancy craving, one of my only ones), mixed greens, bananas, sheep-milk yogurt, cold brew coffee which we warmed up in a small pot (so we didn’t have to fuss with grinding coffee, or not having a coffee maker), coconut milk, maple syrup, Jackson’s Honest chips and some clean cold cuts for snacks. 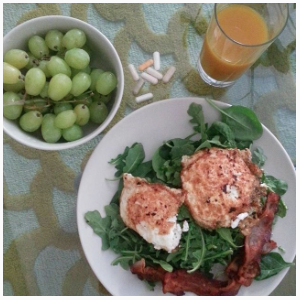 Breakfast at “Home”: bacon, fried eggs cooked in the same pan, on greens, fruit and mango kombucha. Side of prenatal vitamins! Needless to say, we ate well. Very well. It cost us a pretty penny, but not any more than eating out at every meal. In fact, it was probably less than most people spend on food in NYC! Regardless, quality food is always a priority for us. In lieu of buying me a fancy 30th birthday gift like shoes, jewellery or a purse, we enjoyed every bite of every piece of food, without thinking twice about the cost! Now, NYC is a unique place, because it is so big, with so many different types of people. So you can find restaurants to fit all diets from vegan to paleo, and all budgets from $2 street vendor meals to swanky high end joints. But the approach we have travelled to places quite the opposite, and always find success. For example, we spent a week in Rocky Harbour Newfoundland for our honeymoon. Other than seafood, Rocky Harbour was practically a food desert, but we figured it out! Root veggies and broccoli rounded out our fresh seafood dinners every night, which we cooked on our BBQ at the little cottage we rented. It’s definitely possible to eat well, or eat in a way that will nourish your body within your limits, where ever you travel. It just takes a bit of planning. The longer you live this way, the easier it gets! What tricks do you use for eating well on vacation? 2 Comments | Leave a comment! 1. 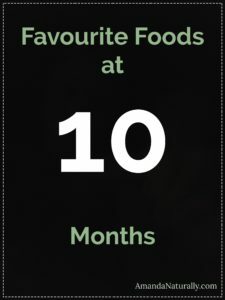 If you’re interested, read the previous posts in this series first: First Foods, Favourite Foods at 6 Months , Favourite Foods at 7 Months, Favourite Foods at 8 Months and Favourite Foods at 9 Months. 2. This is a JUDGEMENT-FREE POST: Please note that this not how you *should* do things. This is just a window into how I did things, and I relied mostly on my instincts. Do what feels right mama. *Should precedes shame* so I strongly encourage you not to *should yourself*! Parenting is hard enough as it is. You’re doing great!! Not much has changed since my last post, other than we seem to have gotten into quite a routine around here! A big breakfast around 7:30-8am, lunch by 11:30am (after 12pm and she doesn’t eat, she just throws her food around), sometimes a snack after her nap around 3:30pm and dinner at 6-6:30pm! We are now into the typical babyled weaning approach with food. Baby H does not want things to be cut up into small pieces, so while there are still foods that we need to (like steak or pork chop), she now gets large pieces of food that she can hold and bite little pieces off as she sees fit – like a chunk of potato, a full 1/4 of an avocado, a whole strawberry or piece of peach. These are the foods that are on her plate these days, along with everything we were doing at 9 months. Regarding the potential for choking, an interested thing started happening. She seemed to have figured out if something was too big or too hard, it was best to spit it out. We didn’t teach her that (not sure how one could), but I think because she had experienced various sizes and textures of food, she knew what she was comfortable with. Also, we started saying “that’s too big” and she would spit it out right away. Pretty cool to watch that happen. We started her on goat dairy! I chose goat yogurt – because (a) she did not tolerate cow dairy through my milk (in the form of ghee, holy sensitive batman – just like her dad) and (b) fermented dairy is always easier to digest than non-fermented. The bacteria do some of the digesting for you! Unfortunately I was unable to find organic goat yogurt, so I settled on standard goat yogurt. If she tolerated it (which she did), I planned to go ahead and make my own. Homemade yogurt is really easy with an Instant Pot, and since I don’t plan on making dairy a major part of our diets, occasional yogurt-making can definitely fit into my schedule. She also tried some sheep’s milk cheese, which she tolerated just fine, but wasn’t super excited about. I find it fascinating that so many kids are addicted to cheese, and she was kind of indifferent about it. But give her a strawberry, a green onion or some broccoli and she’s in heaven! Right now I plan on holding off grains until she has some teeth that she can grind them with. However, white rice is a way we get bone broth at least twice a week, so I might reconsider this if it takes a while to get those first molars in. 0 Comments | Leave a comment! Cooking for kids is a game changer eh? And I only have 1! Kudos to you mamas (and papas! #dontforgetdads) cooking for multiple babies. I never truly appreciated the flexibility I had when it was just me and maybe my husband I was cooking for. Timing didn’t really matter, meltdowns didn’t happen if we ate too close to bedtime, smoothies or salads were a totally fine fall-back option. Add in a baby learning to eat and having to be a little extra thoughtful about making sure our meals fit her stage of eating development just complicates things even further! This amazing gadget is especially helpful because the easiest meat for my almost 11-month old to eat, is anything that is shredded or pulled. Chicken thighs, pork shoulder and stewing beef are top choices right now. Considering the fact that it’s the middle of summer, stewing beef doesn’t normally come in to the rotation. But it’s such a great food for her – both developmentally and nutritionally – that I was determined to figure out how to use it in a way that wasn’t just plain ol’ stew! 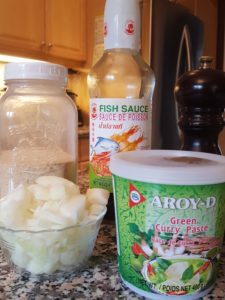 This recipe for Thai Curry Beef is a typical weekday recipe for me – a non-recipe recipe as I like to call it. 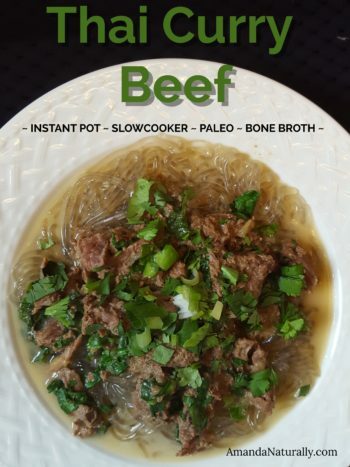 A “throw it all in the instant pot and see what happens” recipe. And boy did it turn out delicious! It’s now part of the weekly rotation and we all love it – especially the kiddo! A quick recipe with only 10-15 minutes prep TOTAL! 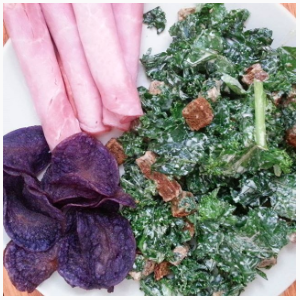 Delicious, family-friendly, nutrient-dense and flexible! Combine broth, onion, curry paste, fish sauce, garlic and salt into the bottom of your slow cooker. Mix well. Add in stewing beef. Cook on low all day (minimum 8 hours). Stir in ½ cup coconut milk and spinach about 10 minutes before serving. Heat through. Serve on sweet potato noodles, zoodles, cauli-rice or white-rice, topped with cilantro and green onion. Combine sauce ingredients in bottom of the instant pot. Add stewing beef, secure lid. Press "Meat/Stew". When done, let it return to pressure naturally and ideally let it sit in warming or slow cooker mode for another hour or so. You can let it sit more if you have the time!